This innovative product comes with a sponge-tipped end that resembles a marker to lightly tint skin for a temporary tattoo effect.It also features a brow mascara on the other end. ● How to use1. 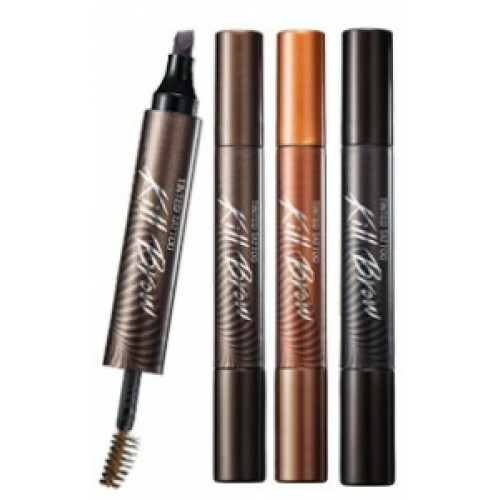 Fill in between hairs with brush's wider surface, applying in parallel direction to brow hair. 2. Hold brush vertically to draw brow line and delicate edges with brush's slimmer surface.